Does this some up a family meal or what?! We’re a family of food lovers. He’s not exactly been eating long, Baby B is yet to find something he doesn’t like. And whilst not as experimental as he used to be, G still loves his food and plenty of it to fuel all of his energy. 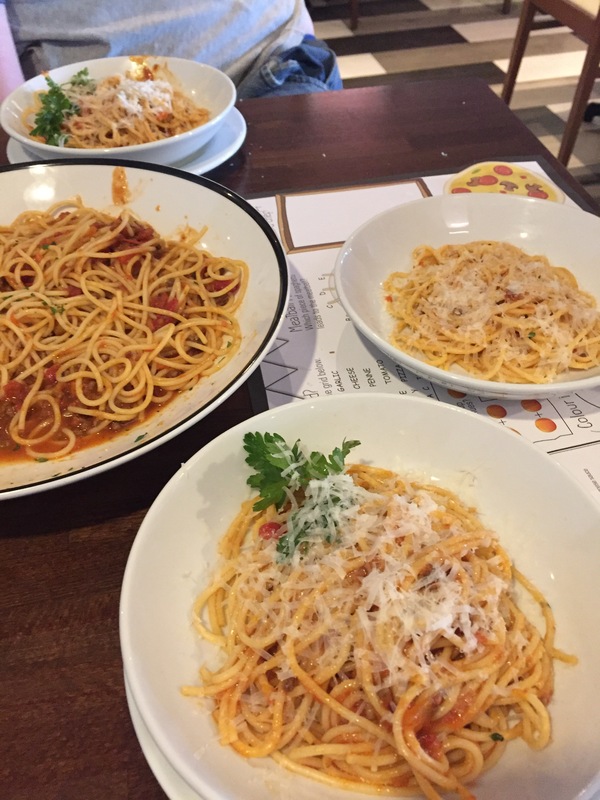 I’m not sure any of us could pick just one favourite food, but Italian is certainly up there in the top 5, which is why we were so excited when Britmums & Prezzo invited us to go along to our local restaurant to try Prezzo’s new La Famiglia sharing pasta dish. 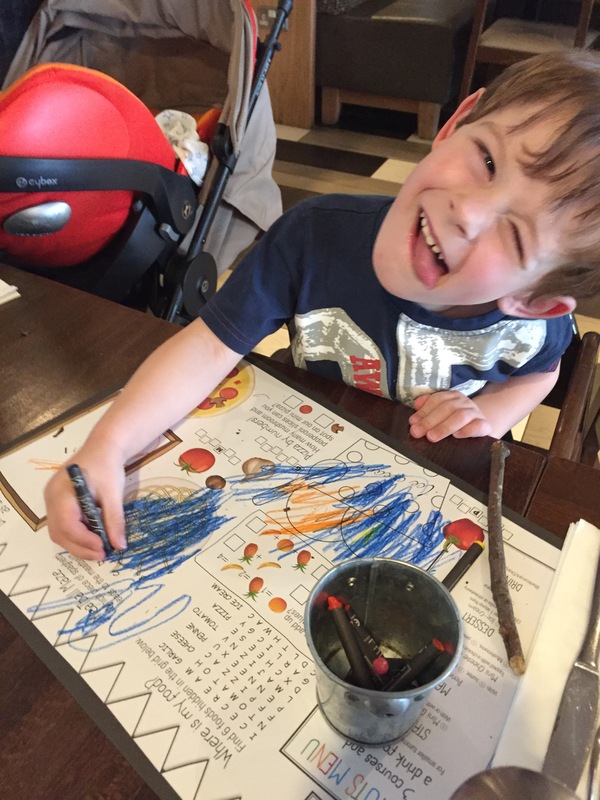 This post is an entry for the BritMums #PrezzoLaFamiglia Challenge, sponsored by Prezzo, as well as a review of our meal at the Penarth Prezzo branch. 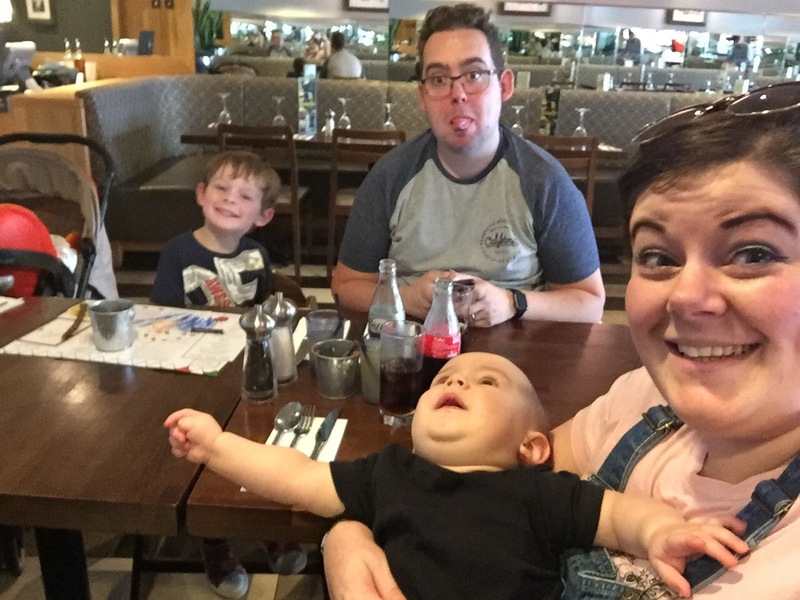 It’s well documented that families don’t get to sit around the table together like they used to, and with Mr H’s crazy work schedule this is certainly true for us. Sometimes eating out is the only chance we’ll get to sit and eat together. 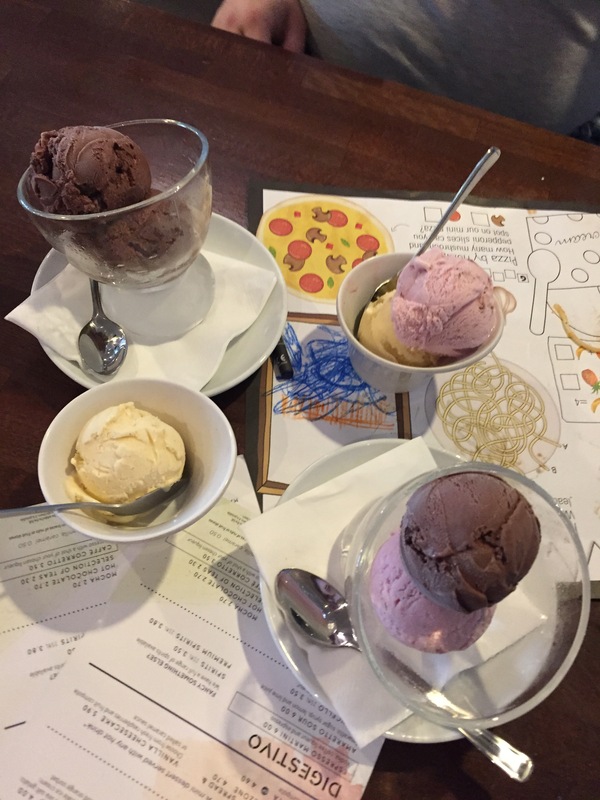 But it’s not always easy, especially when taking the kids, trying to decide what to order and choosing quickly so that the kids aren’t waiting ages for it to arrive! The La Famiglia challenge eliminates this. 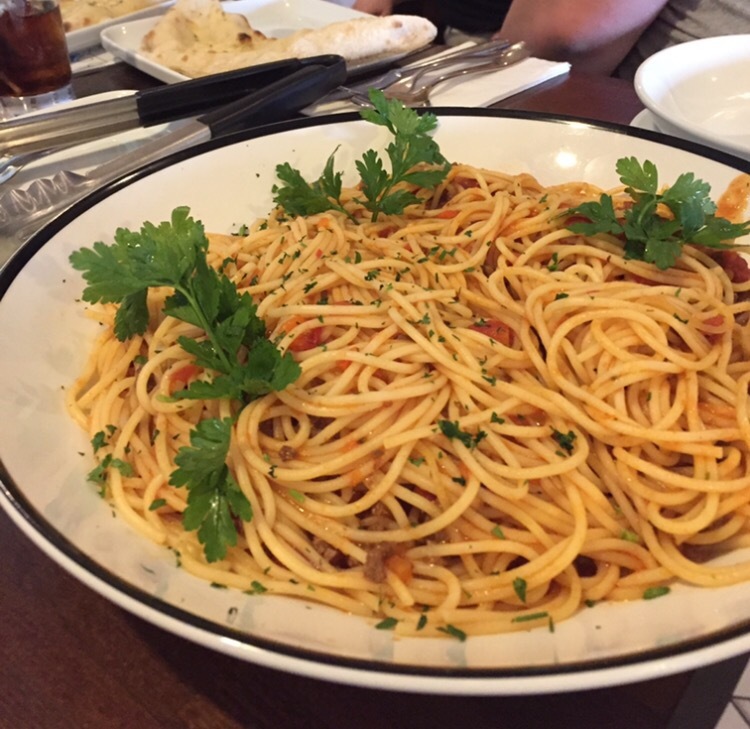 Having just four delicious pasta dishes to choose from ( Penne Arrabiata, Spaghetti Bolognese, Spaghetti Carbonara or Penne Alla Rusticana) you can order one big dish for everyone to share, and you can also be more in control of portion sizes. No more puny meals for the older children and no more oversized portions for the littles that inevitably go to waste! And when I say “one big pasta dish for everyone to share”, I mean a bloody HUGE bowl of pasta!! It recommends it serves up to four people, but I really didn’t expect it to be just that big. It fed us all easily, and I hadn’t eaten all day and was super hungry! 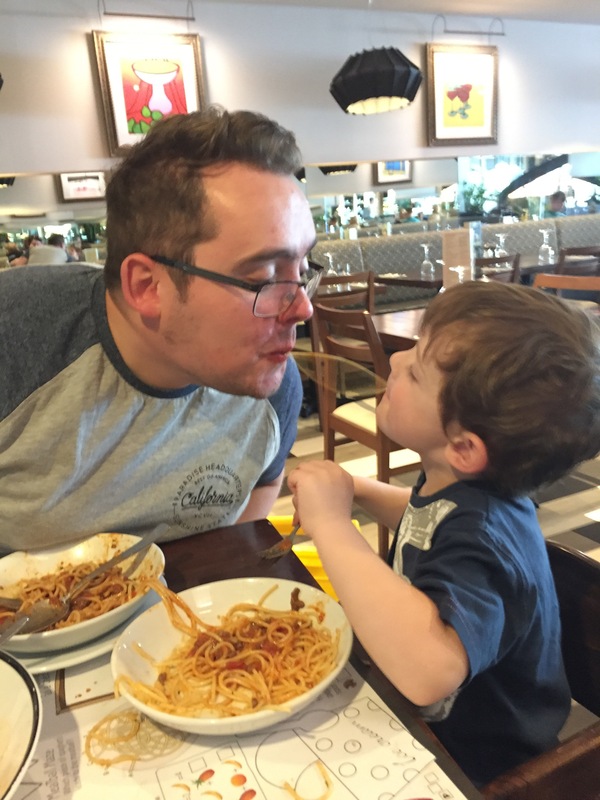 We chose a big bowl of spaghetti bolognese, always a guaranteed favourite with us and the kids. The staff asked whether to serve it with the sauce sat on top or all mixed together, knowing that sometimes kids (and grown ups!) can be fussy with the way food is served. Ours came all mixed together, the “proper” Italian way, and a generous helping of Parmesan was sprinkled over once we’d dished up. The bolognese was really fresh tasting, and not too heavily seasoned, perfect for delicate palates. The option to add our own salt and pepper to our grown up bowls was there, but it didn’t need it that much. It was a real hit with us all. The pasta dish alone would be enough to make a meal for a family, and at £18.90 it’s exceptional value. 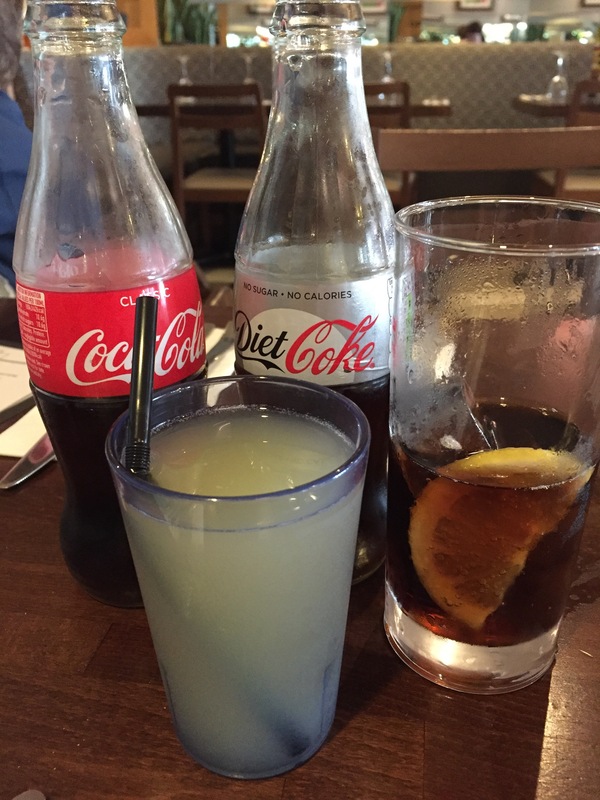 But if you were needing to make the meal stretch further, La Famiglia challenge allows you to order a pasta dish, two large garlic breads, four soft drinks AND four ice creams for just £30! For a family meal that is just amazing! I believe it would comfortably feed the hungriest family, and having the bowl sat in the middle of the table encourages a more relaxed experience. Or at least I imagine it would if you weren’t trying to wrestle the worlds grumpiest, wriggliest and noisiest baby! B was just a nightmare, but the staff were brilliant, really helpful, and didn’t even flinch when G had the biggest accident he’s had since potty training (he’s been accident free for nearly two weeks so I didn’t even see it coming!) seriously the kid must have been saving up all of his wee for the day. Cue flustered mummy sprinting back to the car for a change of clothes. The staff just cleaned it up like it happened daily. It really is as family friendly as it claims to be! Phew! The other really great thing about the giant bowl is that it keeps the rest of the pasta nice and hot. I thought it would go cold as we waited for second portions, but even after the break to change G, the remaining bolognese was nice and hot when I dished myself up another bowl. Mister and the grubby child!! 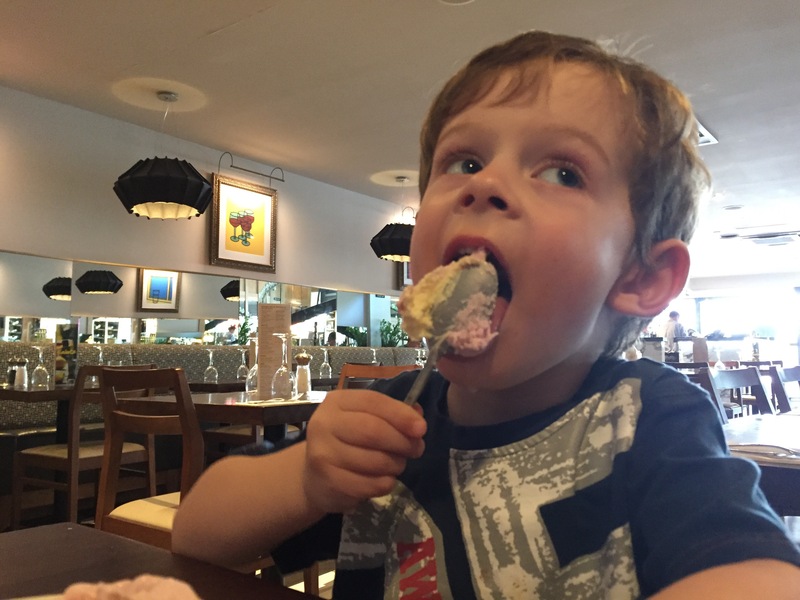 The garlic bread was delicious, and even managed to keep B quiet for a few precious seconds, but not as quiet as the ice cream made him! I fed him way too much vanilla ice cream, but he LOVED it. 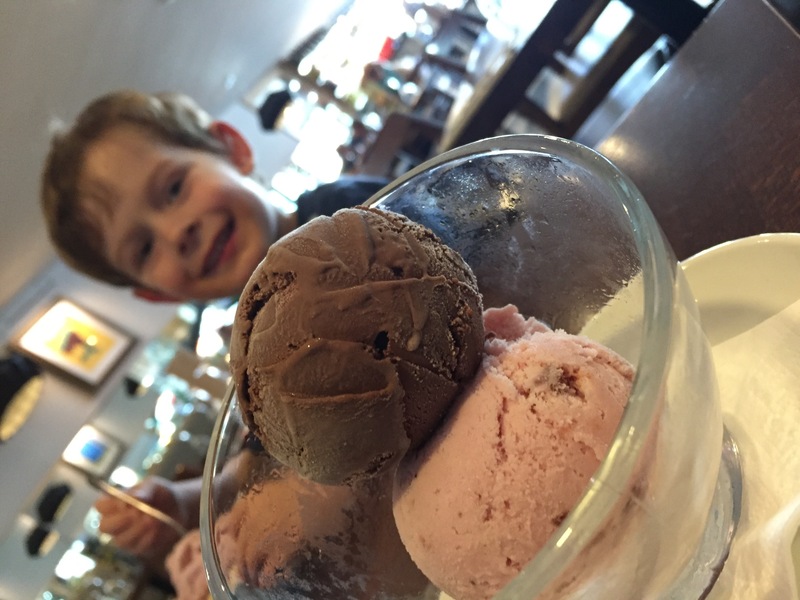 And it meant G got to enjoy his strawberry, I enjoyed a scoop of strawberry and chocolate and Mr H enjoyed the intense chocolate and sea salt ice cream. I stole a spoonful and it was delicious! I’d have chosen the same but I was worried about kids stealing it…food is never my own anyomore! I guess that’s why the La Famiglia is even more perfect to share with your family. 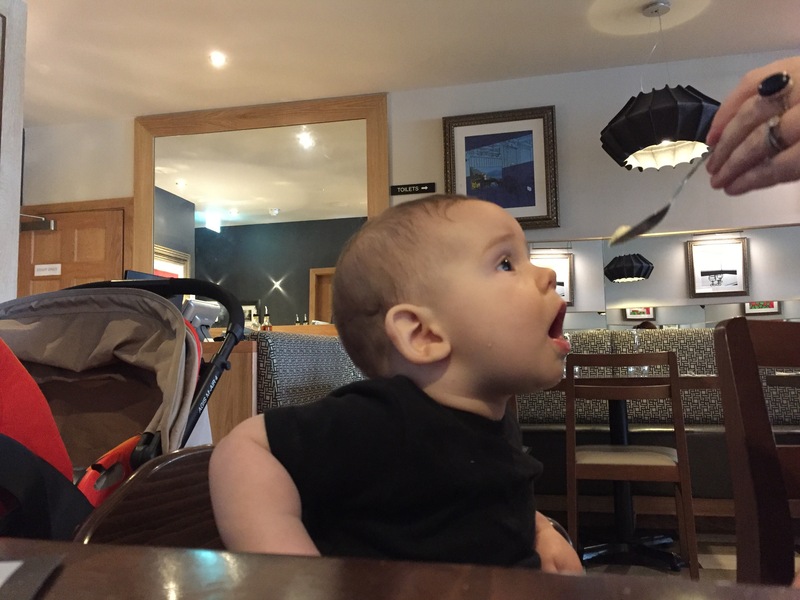 I’ve not visited Prezzo before, but we’d certainly like to visit again in the future. If they’d have us of course. I wouldn’t be surprised if they let out a sigh of relief when the family with the noisy baby left. The staff at the Penarth branch were really friendly and attentive, clearly relaxed and used to families visiting. A relief for parents taking kids out. The food was delicious. Nothing was super complicated or fancy, but family favourites done really well, that you can rely on for a great family meal out. We have a lot of family in and around the Penarth area that we don’t get to see as often as we like, and this would be a really lovely and affordable way to do it. Grown ups and kids alike will enjoy sitting down and tucking in to a delicious feast, and being able to chat and enjoy being together. Do you eat your meals at the table together? Or is it more for special occasions? 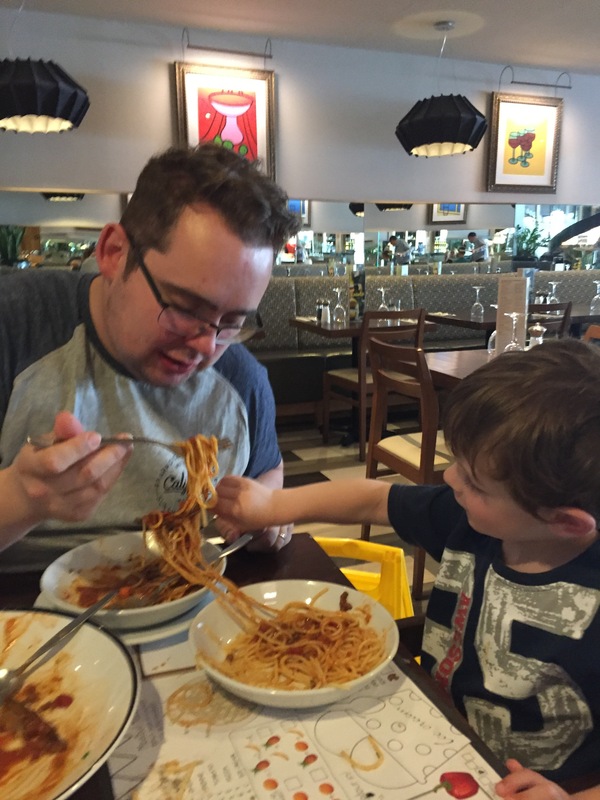 Disclaimer – Prezzo, via Britmums, gave us a voucher to cover the cost of La Famiglia Challenge, any extras were paid for by ourselves. The review of the branch and food, is honest and my own. « I’m Going to Blog On May ’17!